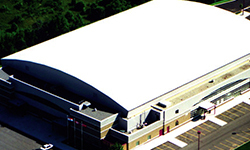 Conklin has been leading the way in acrylic elastomeric roof coatings for over 35 years. They have decades of experience and innovation that results in roofing systems with unmatched performance. This innovation continues to push Conklin and the entire roofing industry forward by providing products that offer years of performance, protection, and energy savings. You simply won’t find another company with such a rich and diverse history that continues to push the boundaries and excel in everything they do. Unknown to most people, the Conklin company did not get its start in the roofing industry. In 1927, a man by the name of Harry Conklin began to develop lubrication products. He continued on this route for almost 50 years. It wasn’t until Harry Conklin’s two sons incorporated the business in 1969 that things started to really take off. 7 years later in 1976, the Conklin Research and Development department created something that would change the roofing industry as we know it. Their creation was a unique latex elastomeric technology. One year later a product called Rapid Roof was introduced into the market. 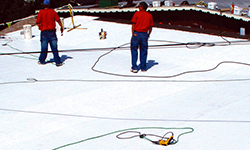 The Rapid Roof product was the first of many innovations for the Conklin company. 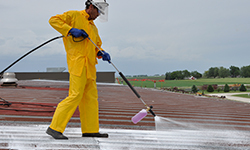 It was the very first liquid elastomeric roof coating on the market. It pioneered the cool roofs industry with dramatic innovation, and an impressive fluid designed system that was created with energy savings in mind. Conklin was, and always has been, a few steps ahead of the game. Conklin continued to produce products that changed the roofing industry. In 1978, Conklin introduced a product called Kwik Kaulk to complement its already successful Rapid Roof system. The innovation lies in the fact that Kwik Kaulk is a sealant compound that remains flexible. In order to continue on its innovative path, Conklin created a powerful partnership with Trufast Fasteners. Trufast Fasteners helped solidify Conklin’s devotion to innovation and quality customer service. 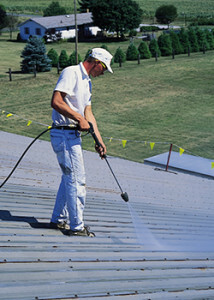 In 1985, Conklin introduced yet another product that pushed the roofing industry one step further. The product is a primer that is designed to create a strong protective barrier on metal surfaces. The product is called Metal Ready, and it also prohibits rust from forming. It was not long until the roofing industry saw the power of this product along with the others introduced by Conklin over the years. Rapid Roof proved to be highly successful, but Rapid Roof II was introduced with even more powerful physical properties. Two more great products were introduced in 1986 as well. One was Alumify, an aluminum coating designed to help extend the life of aluminum roofing materials. 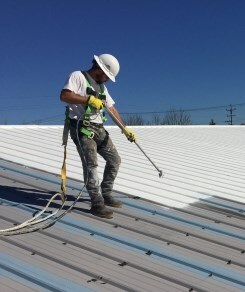 It offers up another option for contractors working with aluminum roofing materials. 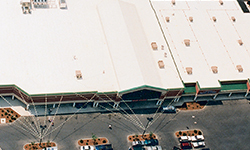 In 1991, Conklin introduced Benchmark and once again raised the bar for elastomeric roof coatings. This new roof technology moves on to protect hundreds of millions of square feet of roofing. In 1992, Charles W. Herbster and his wife Judy agreed to purchase the Conklin company from the Conklin family. 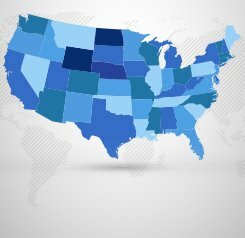 The company continues on its path of sound business practices, and continues to see excellent growth. This is the same year Conklin joined forces with BASF spray foam and Atlas boardstock. 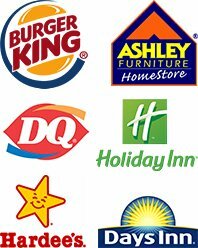 The three companies became strategic partners. Conklin can now offer great insulation products alongside their popular roofing products. In 1994, the Rapid Roof system was reformulated again to further solidify its status as one of the best roofing systems on the market. The third generation continues to provide great innovation and value to Conklin customers today. In 2002, Conklin added a new product to its growing roster of innovative building solutions. Wall Kote, a long-lasting exterior coating for vertical walls, joined the Conklin family. It offers a greater mil thickness and greater protection. Six years later in 2008, Conklin continued to expand by adding even more roofing products to their lineup. Metal Ready Universal, a newer version of Metal Ready Primer, added better adhesion and more anti-corrosion properties. In 2009, Conklin introduced Equinox. This formula is developed for cooler weather applications and it furthers Conklin’s mission of innovation and energy savings. Conklin did not slow down. In 2010, Puma XL was introduced to the market with an extended non-prorated warranty of 18 years. Once again, Conklin sets the standard for the roofing industry with the Conklin Membrane Coating System. This liquid applied protective coating is designed for aged Modified Bitumen, TPO, PVC, EPDM, and CSPE roofs. This coating extends the life of the existing membrane. Conklin started out as a small family business many years ago. Their desire to provide excellent products and push the boundaries has helped them grow into one of the largest companies in the roofing industry. When you use Conklin products, you get their wealth of knowledge and experience on your side. The 35-plus years of innovation behind Conklin roofing systems make them the best choice for virtually any roof restoration project.